Based on previous community planning studies, the corridor will be transformed into a complete street that is safe and efficient for all users and modes of transportation. 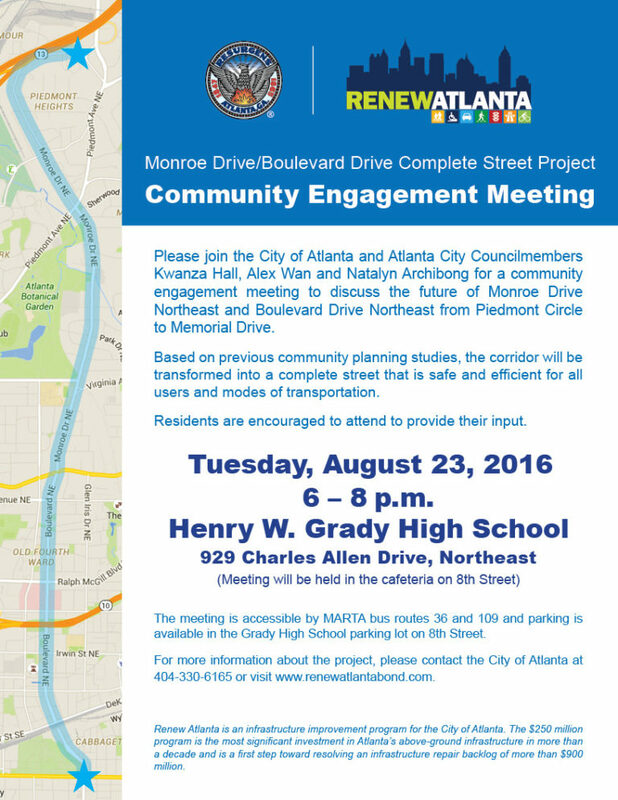 The City of Atlanta and City Councilmembers Kwanza Hall, Alex Wan and Natalyn Archibong will host a community engagement meeting next month to discuss the upcoming Monroe Dr./Bouevard Dr. Complete Street Project. The meeting will be held Tuesday, August 23, 2016, 6-8 pm, at Grady High School. See flyer below for details.